Insulator polymer tightness tester is used to check tightness of polymer housing of composite insulator, whether the polymeric housing is well attached to FRP will be shown after 96 hours of boiling in salty water. This boiling process is also essential as preparation stage of some electrical test of composite insulator. The Water immersion pre-stressing testing machine for polymer tightness test is also called water boiling machine in China.It is mainly applied in insulator test of salty water boiling according to IEC requirement to composite insulators. Composite insulator is to be put into the testing chamber and the machine heats the salty water in it till it’s boiling. After 42 hours (or more) of boiling, pick out the composite insulator when water cools down and check cohesion of fiber glass rod and polymeric housing. No detachment or gap shall be found between two surface of the material. After such boiling process, composite insulator shall be taken for next stage test: electrical power frequency flashover test and steep-front test. 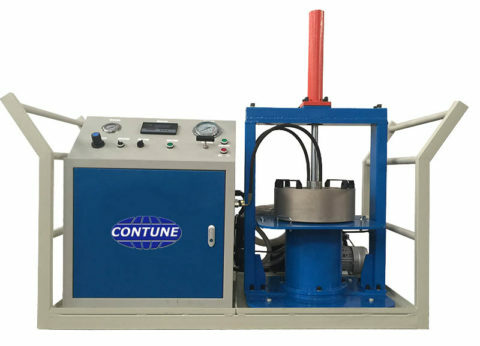 So this polymer tightness testing machine is also used in pre-test stage of electrical test of composite insulator. This testing machine can provide convenient testing process for inspectors, with automatic temperature stabilizing function and time control, it has digital display for operate to witness entire process of test, which makes it very easy to operate.